Gossamer cotton crepe adorned with antique style lace adds beauty and charm to your decor. 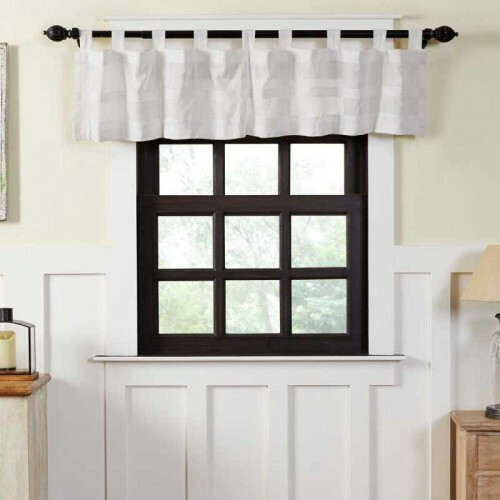 The Quinn White Tab Top Valance 72"​ offered by Country Vintage Home features tab top style rod pocket accentuating the old world design. 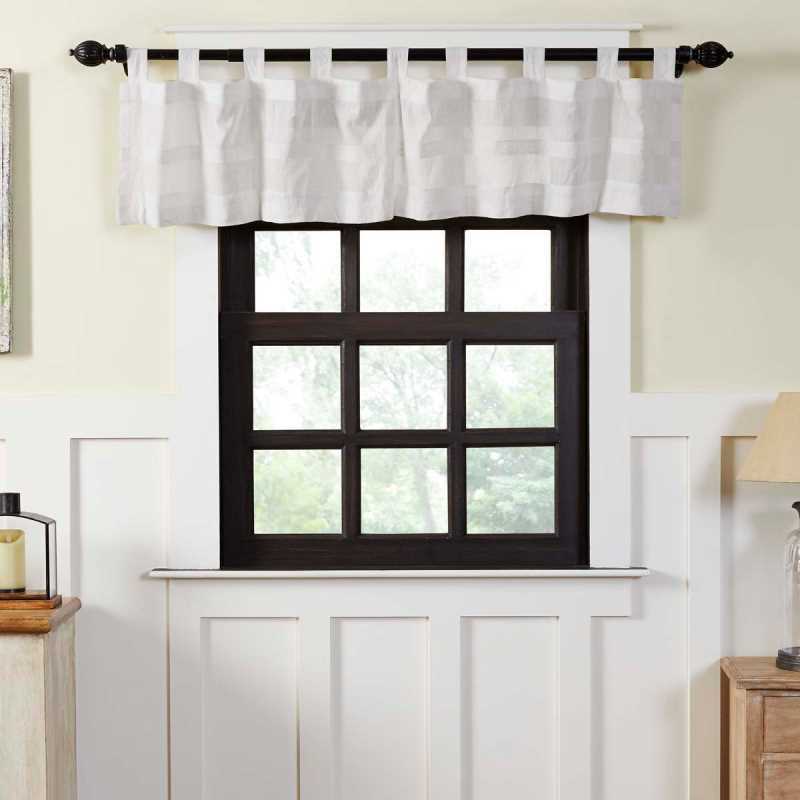 Dimensions: Length 16" x Width 72"
Tags: Quinn White Tab Top Valance 72"